Compatible with most focusers, install it in place of the micrometer knob and connect it to the USB port of your EAGLE or Windows computer to remotely control without vibration and with high precision your telescope's focuser! The supplied software and ASCOM driver allow you to easily set up many advanced features of the SESTO SENSO, especially useful for astrophotography. Thanks to the precise control motor with integrated electronics, SESTO SENSO achieves incredible precision of just 0.7 microns! 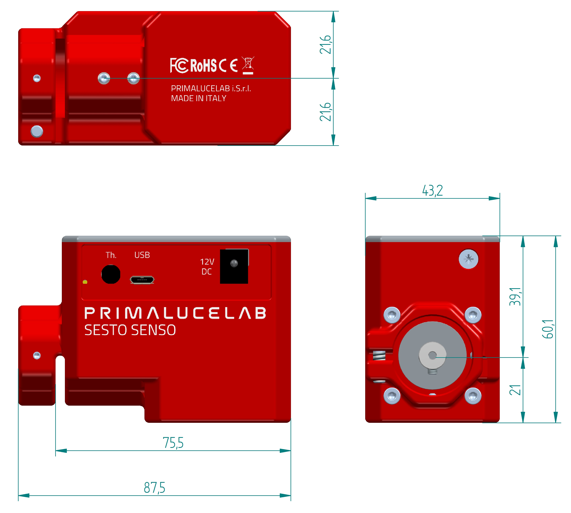 Thanks to a meticulous design, PrimaLuceLab engineers have created the SESTO SENSO robotic focusing motor for telescopes, incorporating all the elements usually outside in normal motorized focusing systems. 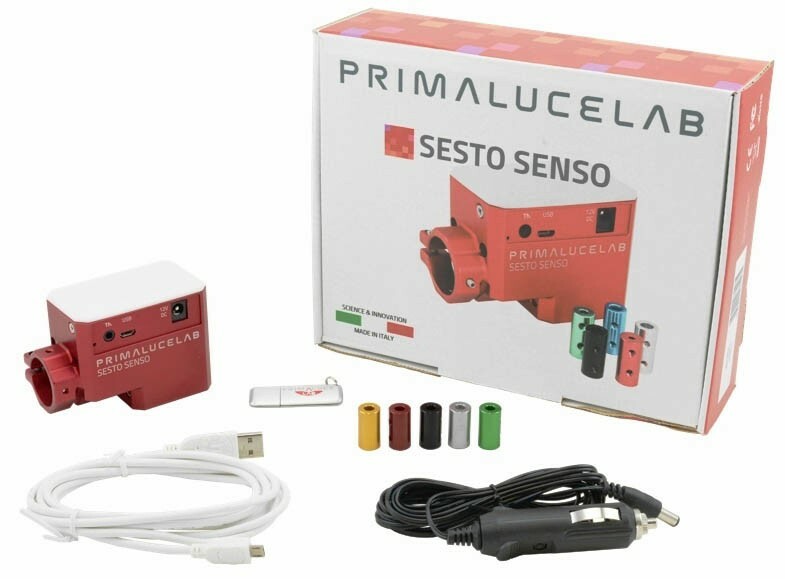 Systems consisting of a motor with separate control box and connecting cables are the past, SESTO SENSO encloses in a compact metal box (dimensions 85 x 58 x 43mm) both the motor and the control electronics. 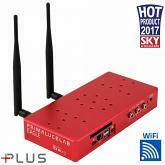 All with the great design PrimaLuceLab create for all its products. 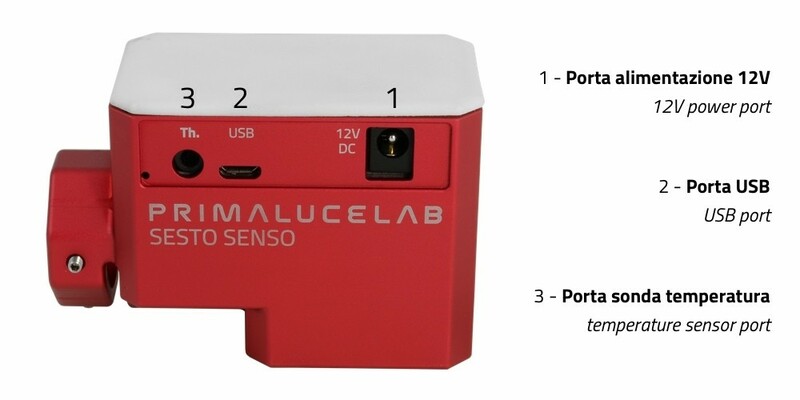 SESTO SENSO has 3 ports. In the picture below, to the right you see the 12V power supply port that powers the motor and integrated electronics. Using the power cable provided in the package, it can be powered by a common cigarette lighter socket. 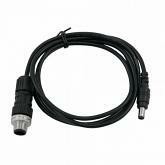 Alternatively, an optional cable is also available to power it directly from the EAGLE. At the center you see the USB connection port that connects SESTO SENSO to EAGLE or to another control computer, using the cable provided in the box. To the left you see the port for connecting the optional temperature sensor and allowing you to perform auto focus adjustment procedures with the ambient temperature variation. 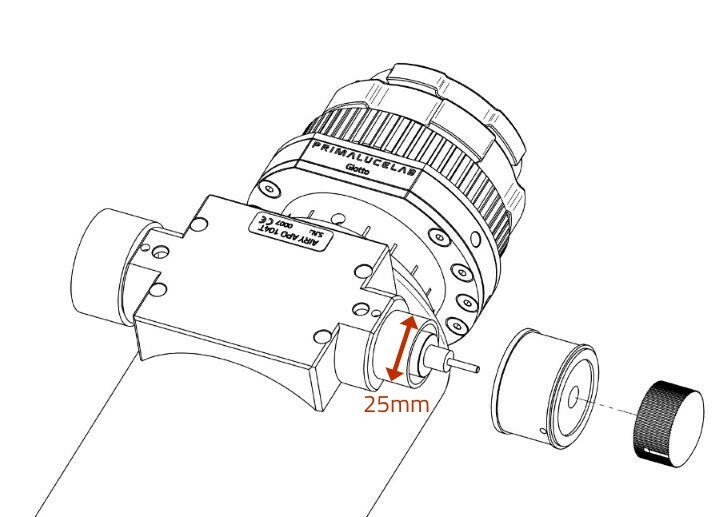 Thanks to special design, SESTO SENSO robotic focusing motor is compatible with many focusers, thanks to the bushing kit supplied in the package. 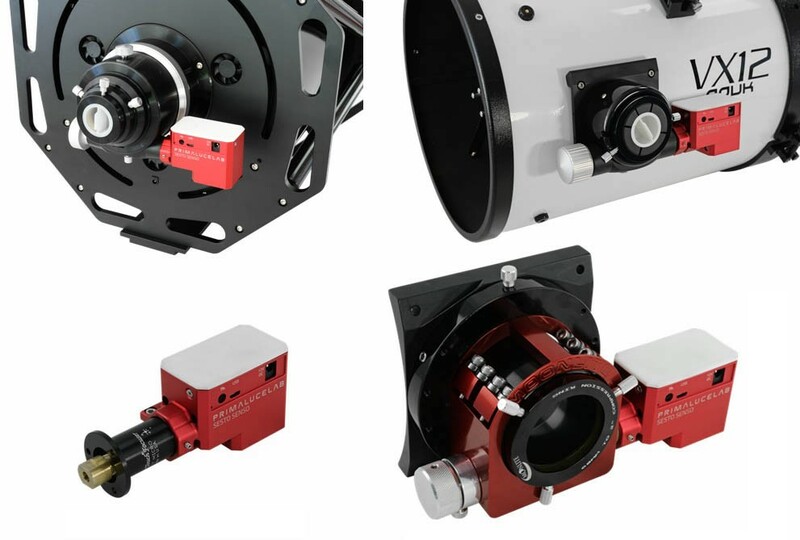 You just have to choose the right bushing for your focuser and install SESTO SENSO, it's very simple! 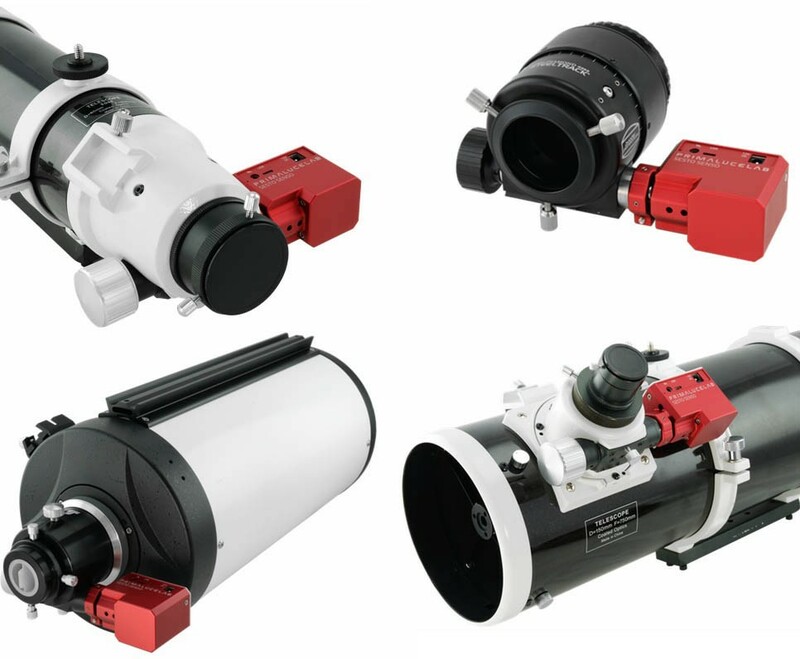 Another advantage of our design is to be able to easily move SESTO SENSO from one telescope to another. 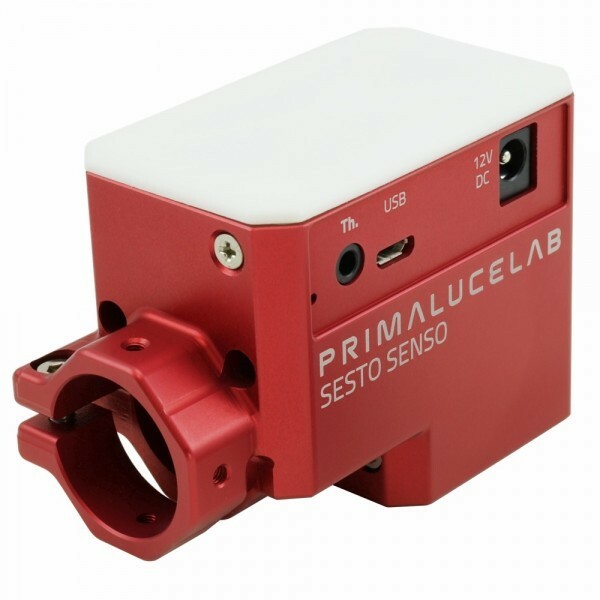 If you change telescope, you can easily connect SENSO SENSO to your new instrument! 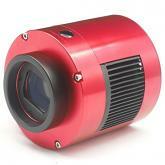 It shows that the max diameter of the housing must be no more than 25mm. It doesn't have to be a Primaluce Lab focuser, but bear in mind that the internal diameter of the Sesto Senso will simply not fit onto a larger round housing. SESTO SENSO encloses in a compact metal box (dimensions 87 x 60 x 43mm), both the motor and the control electronics. 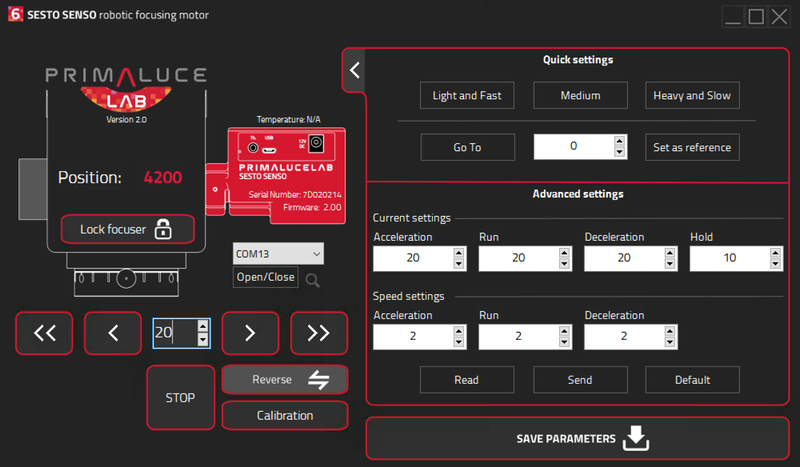 All with the great design PrimaLuceLab create for all their products.